This is one of Chowan county's three public boat ramps. Directions: From the junction of US 17 and NC32 in Edenton, take NC32 north 14.1 miles to SR1231(Cannon Ferry Rd) turn left onto SR1231 and travel 0.9 miles to the area. The area is located on the left side of SR1231. One of Chowan County's three public boat ramps. Directions: From the north end of the Albemarle Sound Bridge on NC 32 near Edenton, take NC 32 north 1.3 miles to SR 1114 (Soundside Road). Turn left onto SR 1114 and travel 2.8 miles to SR 1119 (Midway Drive). Turn left onto SR 1119 and travel 0.4 miles to the area. The area is located on the right at the end of SR 1119. A beautiful 18 hole course! Pro shop hours: 8:00 am - 6:30 pm. Looking for some summer fun for you kid? The Steamers Baseball Camp is open to children 7-14. Camp hours are from 9am-12pm. Camp #1 June 18-20. Camp #2 July 9-11. Registration Fee: $50. Bring your glove, bat and sunscreen. Water and snack are provided. The Recreation Department offers a wide variety of activities for both youth and adults. Summer adult activities include tennis tournaments, tennis lessons and swimming lessons. Youth summer activites are arts and craft classes, sailing, swimming, tennis, Girl Power camp, Soccer camp, volleyball camp, wrestling camp, and a Kings Dominion trip. Gymnastics & Trampoline classes and Karate classes are offered year round for youth. In addition, there are also several team sports that are available throughout the year including football, cheerleading, basketball, soccer, baseball and softball. The Northern Chowan Community Center is also a part of the Recration Department. It is available to all residents in Chowan County. Indoors, there is a gymnasium, weight room, and aerobics room. Outdoors there is a basketball court, tennis courts, football field and walking track. Exercise and fitness classes are also offered at the Northern Chowan Community Center. Innsbrook is a new golf and boating community that features an Arnold Palmer Signature Golf Course that is scheduled to open Summer-Fall 2007. New in 2001, the facilities include a gymnasium, weight room, aerobics room, kitchen, meeting room, outdoor tennis courts, basketball courts, walking track and athletic field. Offering a variety of programs including aerobics, yoga, gymnastics, indoor batting cage and other traditional sports. Open 7 days a week to all ages. North Carolina's Quickest 1/8th Mile! "Bass Fishing at its Best!" The Fishing Center is open 6 days a week; Tuesday thru Sunday. Ramp fees are $2 daily or $25 yearly. Enjoy great Crappie and Bream fishing, and don't forget about the Rock, Catfish, and White Perch. 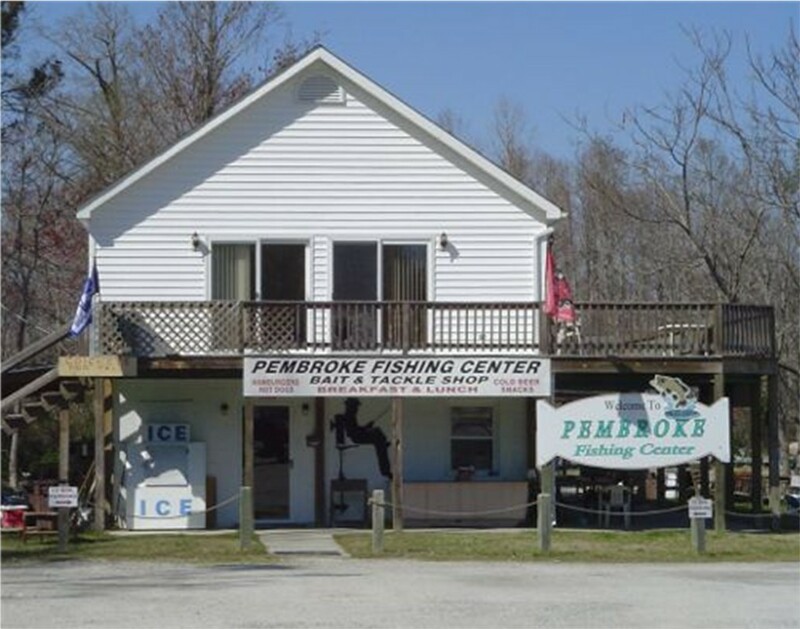 Breakfast and Lunch is served daily and you can also pick up your ice, snacks, cold drinks, gas, live bait and fishing tackle. There are several tournaments held througout the year. By participating in 5 tournaments you will qualify for the Classic. There is also an Annual Fall Largemouth Bass Tournament with a $3000 purse. Call today to see when the next tournament is scheduled.